To avoid exposing pets, their owners and Bay Area waterways to toxic pesticides, members of the Bay Area Clean Water Agencies (BACWA) are encouraging professionals to recommend their clients to use oral medications to control fleas and ticks, and to discourage the use of topical treatments. 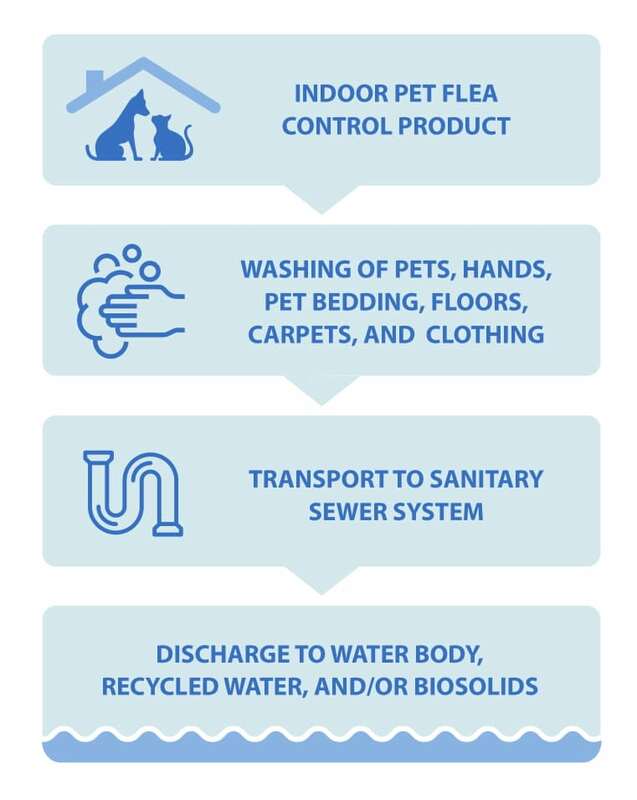 There is increasing evidence that pesticides from external flea and tick control products including spot-on treatments, collars, indoor foggers and sprays are finding their way into our local waterways, sometimes at concentrations above toxicity thresholds for aquatic species. The California Department of Pesticide Regulation (DPR) is also currently reviewing uses of fipronil and imidacloprid, the active ingredients in most spot-on topical treatments, due to possible human health risks. “Dog and cat flea treatments suspected of polluting San Francisco Bay” by Paul Rogers, San Jose Mercury News, published November 7, 2017.